Dr. Stankov was born and raised in Sofia, Bulgaria. He pursued his interest in the field of health, and successfully graduated from The Medical University of Sofia , Faculty of Dental Medicine, in 1984. Dr. Stankov has been practicing for over 27 years. He has been in his current location for more than 15 years. Since he began practicing dentistry, Dr.Stankov has continued his eductional studies by taking many classes and by keeping up to date on new medical practices, ensuring that his patients receive the most comprehensive and advanced dental care. He is member of many prestigious organizations including American Dental Association, California Dental Association, ICOI (International Congress of Oral Implantologists, and a Fellow in the Academy of General Dentistry. Dr. Stankov and his team continuously strive to offer the most advanced and comprehensive dental treatment available. In his spare time, Dr. Stankov enjoys plaing tennis, skiing, listening to music and traveling with his family. 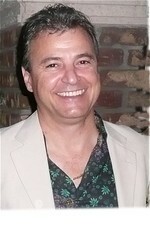 A resident of Woodland Hills, Dr. Bobby S Stankov and his wife have two children.